In real estate, you either win sometimes or you lose sometimes. There is no such thing as winning or losing. You’re winning, a bit. Losing, a bit. Both, often, at the same time. That’s because you don’t have one boss, or two, you have dozens. Or more. They come and they go, they’re not your boss forever, usually. This is why I can be both hero and villain on the same day. In successive phone calls. Winning and losing, in the same breath. The goal of the real estate agent is to win a couple more times than you lose. To chalk up a few on the good side, to offset all of the ones on the bad. In 2018, I won quite a few, and it’ll mark my ninth straight year of winning more than I’ve lost. But don’t be confused, I’ve definitely lost. In my case, those losses look like the homes that I haven’t been able to sell-yet. They’re the inventory pieces that didn’t quite work out- yet. They’re the sellers who have likely grown tired of me, but not quite completely tired of me- yet. With that in mind, here’s a run down on the scant few pieces of personal inventory that I haven’t been able to sell-yet. If you’re looking for a condo on the lake, there’s really no better idea than this Bay Colony unit. It’s on the ground floor, which matters, a lot. You have a private outside entrance, so you don’t need to schlep your groceries through a common entrance and down a common hallway that may or may not smell like re-heated brats and mustard. The unit is fabulous. Obviously, tremendously, unavoidably fabulous. 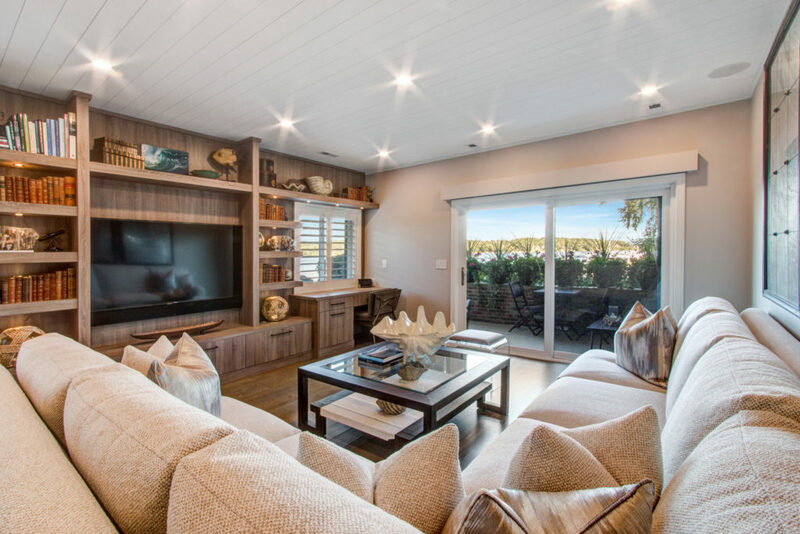 It’s easy to own, easy to use, and as luxurious as any hotel suite, assuming you’re staying at the suite with two bedrooms, two baths, a boat slip, lake views. Reduced to $799k, far below replacement cost. If you’re searching for a lake house, but need a bit more flexibility than the condo can offer, then this property in Glenwood Springs is for you. This isn’t just some cottage by the lake. It’s the nicest cottage by the lake you’ve ever seen. Fully and outstandingly dialed, this Fontana retreat is finished to the highest standard. Four bedrooms, four baths, private pier (with shore station), lake views, and appointments that you just can’t find in this market in this price range. $1.295MM and your weekends will never, ever, be the same. Speaking of new construction, my magnificent estate on Basswood is still, as of this moment, unsold. That’s a shame, really. We’ve done the hard work of reducing this price to the point where it now makes sense for an upper bracket buyer. 214′ of level Basswood frontage. Swimming pool, guest house, immaculate grounds. This home was built in the early 1990s and could be used immediately by a new family, much in the way that the current family has used, and loved, this unique property. Or you could buy it and renovate and when the last window treatment has been hung you could be all in for far less than it would have cost to build new, and in far less time. $8.495MM. A Wednesday reminder that my listing at W4396 Basswood Drive is still available. I just reduced the price of this home to $8,495,000, and it’s now offered at an extreme discount to replacement value. 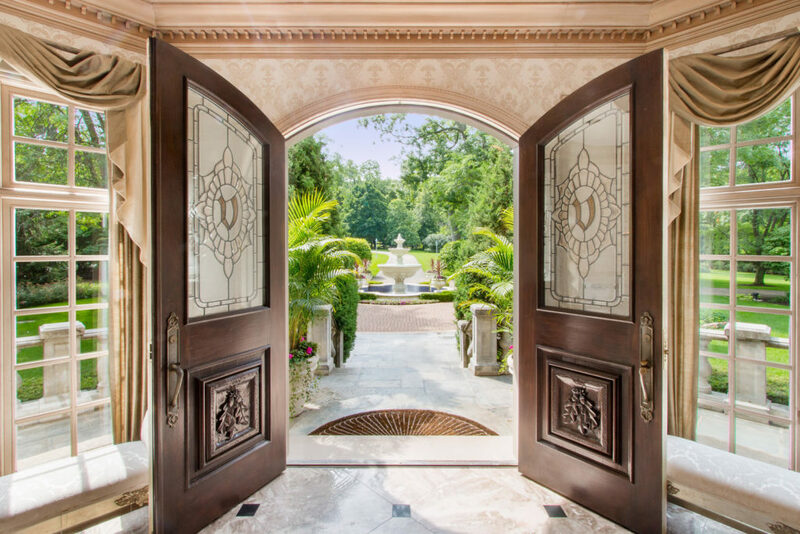 Consider the pending sale of a home in Lake Geneva listed at $14,500,000. Now consider buying this home, renovating it, and being all in for far less than the sale price of that nine year old home. It doesn’t take a genius to make the right moves in this market, it just takes a bit of effort. Contact me for a private tour of this most lovely estate. It would be disingenuous for me to pretend that we’re in the middle of another Lake Geneva summer. August is the peak of summer, sure, but it’s not exactly the middle. You could argue that it’s the end. School starts soon. The sun sets earlier and earlier each night. We’re no longer building toward summer, we’re doing our best to hang on to a summer that’s rapidly fading. In spite of our dwindling summer, the real estate market at the lake has given us something to talk about. June and July were fantastic months for our lakefront and lake access markets. That late June through early July heat and the supporting sun pushed this market into hyperdrive, with contracts piling up like so many rock bass in my Uncle Joe’s five gallon pail. June and July saw five lakefront closings, and ten more lake access sales. The lakefronts that closed included a few bits of aged inventory as well as some new to market listings. At the top end, the old Born Free Estate closed for $5.35MM. The new owner then promptly sold off a 100′ lot on the East side for $2.75MM. I’d expect to see a significant renovation of the existing home in the near future. 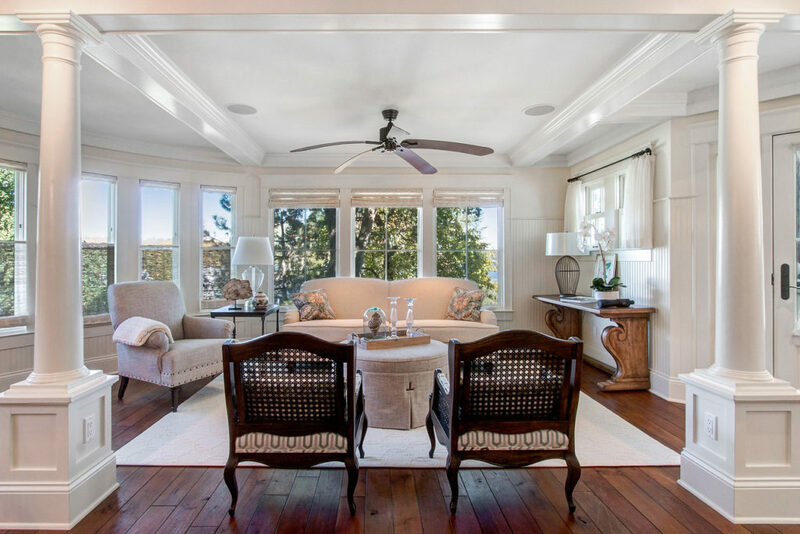 Another high priced sale occurred on Basswood, that of the Woodhill Estate, which printed at $3.9MM. That’s a reasonable price for that property. The market had a hard time figuring out if that home was a tear down, but the rumor is the new owner plans to renovate the existing structure. On the lower end of the lakefront, a home in the Elgin Club closed for $1.245MM, likely a tear down or significant remodel candidate. In Williams Bay, another home closed on Walworth Avenue where those thin 50′ lots rule the day. That street featured two sales this year, both in the $1.2MM range, both side by side. I sold those homes back in the very early 2000s. This time around, both homes have sold to the same owner, leaving speculation that both homes might be torn down to make way for one new home. While that buyer is not my client, I’d offer up this unsolicited advice: Don’t do that. 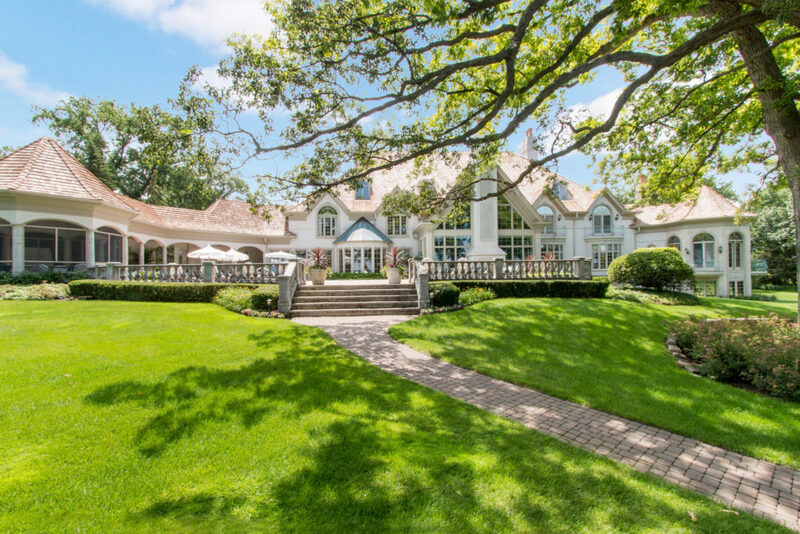 Pending contracts on the lakefront as of this morning include a listing for $2.4MM in the Geneva Manor, a piece of aged inventory in the South Shore Club ($2.795MM) and my listing in Buena Vista on Sylvan ($2.875MM). I’m guessing the Geneva Manor property will print at a meaningful discount to that lofty ask. With buyer activity at all time highs (far exceeding the activity during the 2005-2008 run), I’d expect to see many more contracts this month on the 17 active lakefront homes. 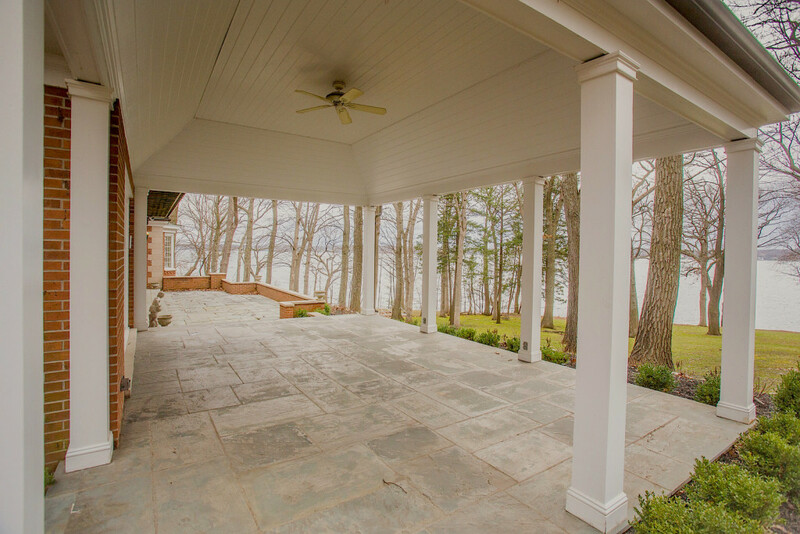 While these are nice sales and nice new activity, the property that’s on track to shock the market is the lakefront home at 590 S. Lakeshore Drive in Lake Geneva. This listing came to market earlier this summer for $14.5MM, with 210′ of frontage and above grade square footage of 9862 according to the assessor’s office. The property, as of yesterday, is pending sale. I’ll repeat, that property, listed at $14,500,000, is under contract. I’m betting the property is going to close somewhat close to its asking price. That’ll make it the highest sale in Lake Geneva history, which will be the third time in the past 24 months that this benchmark has been raised. This magnificent upper bracket run started in the fall of 2016 with my $9,950,000 print of this fabulous Pebble Point home. The home at 590 has a current assessed value in the $5.75MM range, with a $117k tax bill. Assuming a print in range of the asking price, it won’t be a surprise to see the new owner receive a tax bill in the $250k range. So that’ll be something. At first blush, this sale is terrific for our market. It further proves that this market has no rival in the Midwest. Other resort markets will gladly take your millions of dollars in exchange for a second rate vacation home experience. Geneva will take your millions and then, when you’re ready for another chapter, give you those millions back. Likely with interest. Clean water and beautiful homes might be the obvious allure of this area, but liquidity is our greatest asset here, and this sale proves it once again. But this sale also showcases the premium that our market places on newer construction. This home was not new, but with a completion date of 2009, at least one buyer figured it was new enough. Older homes on the lake that have not had recent updates are punished here, as buyers prefer to either buy new, or build new. 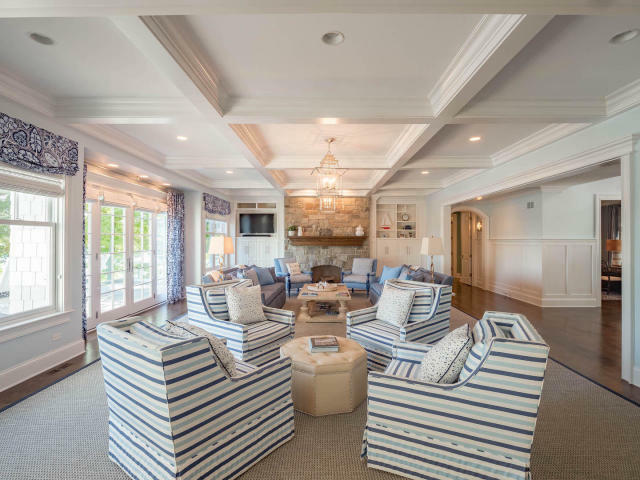 That preference opens up a value play for buyers looking to make their mark on these shores, if only they’d be willing to undertake a remodel of an outdated home. Tonya and I just said… Thank God Dave Curry talked us out of buying all those other stupid homes. Love this place. Hope summer is going well for you and your family. If you’re in the market, you’ll know it isn’t hard to find a Realtor to talk you into something. That’s what everyone does. The real value that an experienced agent brings to the transaction is not in his or her ability to walk you through a house. My 12 year old daughter could do that, and she’d be terrific at it. The value is in finding an agent who cares enough about your purchase to talk you out of a property. If you need some better advice, let’s talk. Large homes tend to have similar problems. When designing a custom home, there is one usual and obvious limitation. Budget. But this is when you’re designing a normal house, something you’re trying to make fit into a particular lot and a particular segment of a particular market. What if we throw out the limitation of market segment concern? What if there is no budget? Still, a singular problem exists. The design. If the wife sews and the husband smokes cigars, then a large house design would dictate that a sewing room and a cigar room be incorporated. Let’s put those at opposite ends of the house, the architect says. And let’s not forget about the children and their children. Those loved ones need space, too. And little Karen just loves to make beed necklaces, the kind that tourists buy when on FunJet vacations. Karen, your beed room is down this hallway, across from the twelve bedroom suites, opposite the cigar room and above the sewing room. This is the large house problem, and it’s an epidemic. The home at 4396 Basswood Drive is large. Some 15,000 square feet above grade, large. That’s a big house. To enter it is to know it’s big. The gate is big. The guest house is big. The lawn is big. The circle driveway is big. The fountain? Big. The grand foyer is as grand as any foyer has ever been, outside of a building designed for members of parliament. While we cannot ever mistake this house for being small, what’s important here is how logical the big is. The layout of this house is symmetrical. Nearly perfectly so. 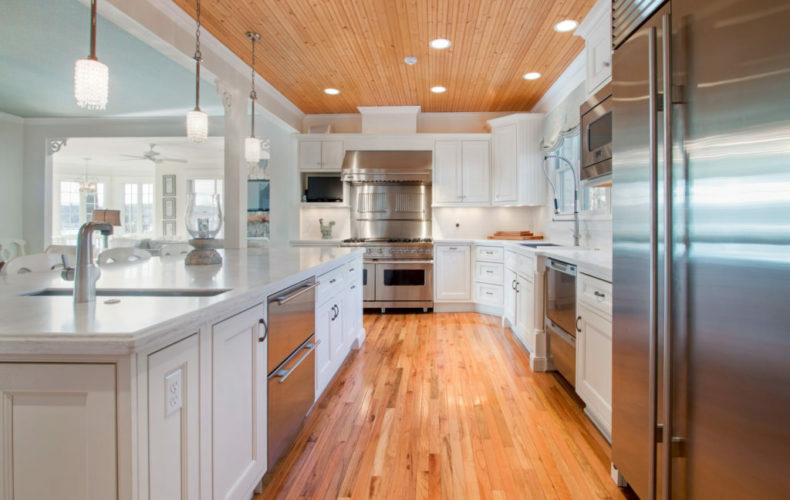 There’s a lakeside kitchen that spans the width of the lakeside pool. There’s a breakfast room, a formal dining room. The sunroom on the east end of the house takes in private views of lush perennial gardens. The great room is vaulted, soaring really, as high as it should be and not a penny higher. The fireplace in the lakeside great room is one of five that you’ll find here. 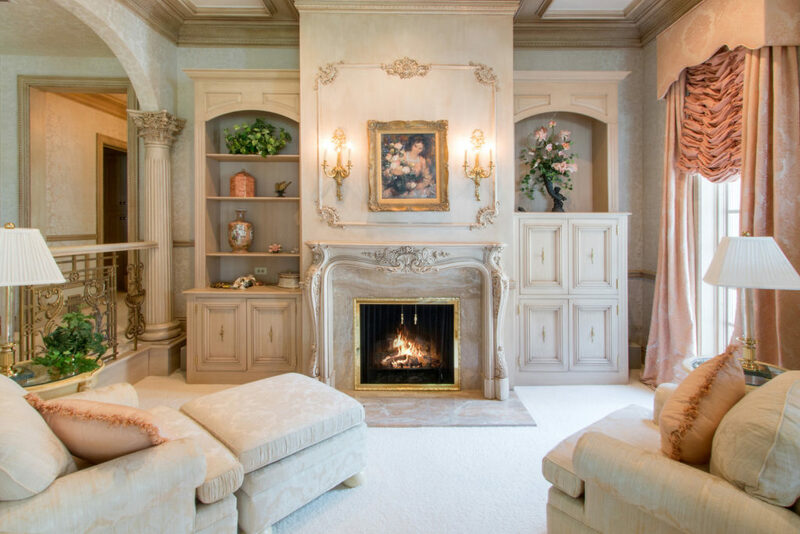 I always say if you think one fireplace is good then you’ve obviously never had five. We have 3.28 acres here, which isn’t any particular feat on this lake. The level nature of the entire property from entry to water is what’s rare here, as most 3.28 acre parcels on Geneva will suffer from some variety of cliff or ravine or other slope. There is none of that difficulty at Royal Oaks, which is what this estate has been called since it was first constructed in the early 1990s. Royal Oaks. That has a nice sound to it, but it would be overwrought if we didn’t have a lot graced by so many large oaks. The frontage is as the rest of the estate parcel- level. The 214′ of rip rapped shore line is level, but not so level that the water event of this week troubled its shoreline in any way. The pier is large, two slips worth, centered so properly on that wide frontage. The lakeside patio holds an in-ground pool, just like you know it should. Any proper estate should have a guest house, and as we know, these are not all created equal. The guest house here is large, with three bedrooms and more garage spaces. You’ll find seven total garage stalls on this property, so please do bring your summer car and leave a winter one any stall you please. So why would someone buy this home? What’s the market argument in favor of such a property, of such a large manor style home? To understand the answer, first consider the land. At present, the lot is easily worth $4.5MM. Perhaps as much as $5MM. To build a home of this size, a cost of $500-800 per foot would be expected. After all, this home cost all of that back in the 1990s when it was first built. The time to construct this home exceeded two years, which it would still today. The paint here might not be to your perfect palate. The kitchen would today want marble. The carpeted areas would now like hardwood, maybe stone. There are things here you might wish to change, things I’m guessing you’d want to change. But the change is easy considering the house itself is built. The scale is perfect. Those upstairs bedroom suites? Each bedroom measured 19 x 19, with some larger. They’re perfect, they’re lakeside, and there are seven of them in the main house. Unlike homes built in the 1980s and before, homes built in the 1990s generally follow a nice pattern of scale. At least this home does. The layout is, as I said earlier, symmetrical and well thought out. There is nothing wasted here. No rooms for superfluous specific uses. There is just a large house that has been well taken care of, ready now for you to use immediately and enjoy, or ready for a tidy winter surface update. The choice is yours. Spare yourself the uncertain prospects of building a new estate. Spare yourself the years of construction. Spare yourself the unknown cost overruns. Buy this home. Enjoy your weekends here, in immense style, on Lake Geneva’s luxury lane. Basswood. $8,995,000. The entry level lakefront market is a perplexing little market. On one hand, it’s obvious that a cheap lakefront on Geneva will always find an audience. This is unavoidable. On the other hand, the inventory is slight in this segment and yet there have been two entry level lakefront homes toiling under $1.4MM for much of this year and nearly for all of last. In the same segment, a new lakefront was listed last week and has since gone under contract (I’m not involved in the transaction). Not only is the new home in the same segment, it’s on the same street, and it sold without much ado even as the other two sit. This bothers me, but it proves the market absolutely loves new inventory and at the same time finds something distasteful about aged inventory, no matter what benefits the aged inventory can offer. New inventory good, old inventory bad, or so the market proves. Last month the wide frontage on Basswood closed for $3.55MM. Lest you think this was some amazing, full depth Basswood lot, I assure you that it wasn’t as ideal as it first sounds. The property was wide at the lake, beautiful indeed, but the lot angled back to a sliver as it headed towards Basswood. Compare this to my listing on Basswood (more money, granted) that runs a complete rectangle from lake to Basswood, full of old deciduous growth. Still, the lot that sold is nice and the house could very well be renovated. I’ll be curious to see if there’s a sizable renovation there, or just a lipstick renovation, or if the structure follows the well worn path towards demolition. Time will tell. That sale was the seventh lakefront this year to print at or over $2.75MM. Not coincidentally, of those seven sales, I represented either buyer or seller in five of them, including the three highest priced sales of 2016. Last year at this time we had closed just four lakefronts at or over $2.75MM, so there’s little doubt that the market at the higher end has much more strength now than it did before. As I wrote last week, what this upper bracket markets wants now is more inventory. We can’t sell what we don’t have available, and so there are buyers on the hunt and increasingly less game in the field. My large lakefront in Fontana is under contract, leaving just 11 lakefronts priced over $3MM for sale. Of those, two or three of them are in no danger of selling, perhaps ever. The highest priced listing to grace our lakefront this year has just been reduced from $16.45MM to $14.5MM. And that brings us back to the entry level market and the lesson of the week. In this lower inventory environment, new inventory will always be met with excitement. 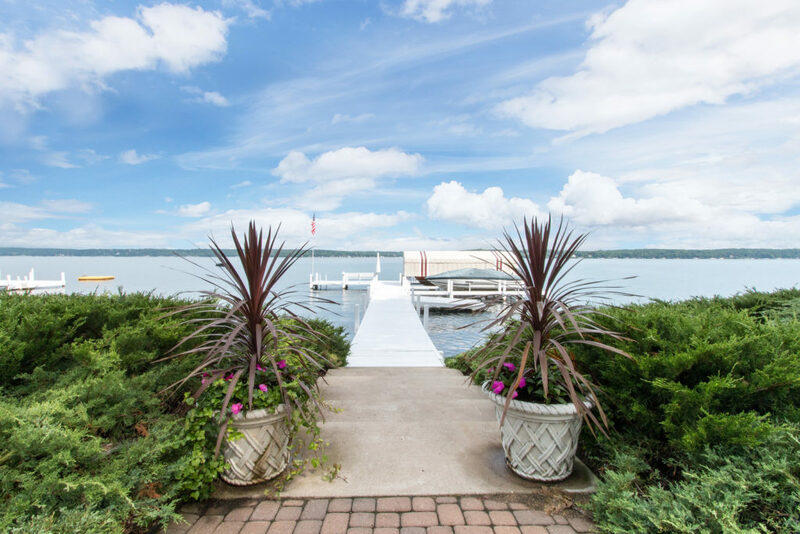 Sellers who are thinking of waiting until next spring to list their lakefront home are doing themselves a disservice by not taking advantage of the market conditions that exist today. Why trade the relative certainty of today for the complete uncertainty of some time far into the future? The thing is, even with this low inventory environment, there are deals to be had. There are aged bits of inventory that look appealing to me, but that’s because I’m value driven and I know that just because the market hasn’t been excited by a property that doesn’t mean there isn’t value hidden under all those days on market. Below and above, my Basswood estate listing. Williams Bay is a big bay. Fontana Bay, also a big bay. Geneva Bay, big. These are the bays we know from maps and from vernacular and because we know this place. But there are other bays, small ones, nuanced and slight, formed from the most delicate positioning of the shore relative to the water. These bays are all over the lake, but if you travel the lake exclusively in summer you won’t notice them. Piers have a way of dulling the edges and making the lakeshore appear uniform when as a point of fact it is anything but. These small bays are really nothing more than drawn out impressions in the shoreline. You wouldn’t sit in a boat and nudge your guests to look to the shore while suggesting that this is, indeed, a fine bay. There is one such barely bay to the north of Conference Point. The point juts out into the depths and as the shoreline recovers from that trauma there is a gradual bay that curves from that point all the way to a place somewhere around the Oakwood pier. Would you know this bay? Probably not. Basswood is another bay like this, where boats don’t follow tight to the shore because Black Point makes them want to cut away from shore to by-pass the tall, rocky point. This makes Basswood a preferred stretch for owners, because boats don’t clip the Slow-No-Wake buoys. The water tends to be calmer in these small bays and it might be for that reason alone. Another bay occurs on Lackey Lane, just West of the Birches. That’s because boat traffic rounds Black Point and rarely pushes South quickly, because the next point created by the Narrows is already in sight. This creates a boat lane that bypasses near shore adventures and spares the Lackey shoreline from that rush of traffic. In this, there is a secret. Find a spot on the lake in one of these nuanced bays, and you’ll be pleased. Lackey Lane has historically been low on inventory. That’s because it’s a short, dead end lane, a rare piece of the area that combines uniform, level lakefront with a dead end drive. There are just 11 residences off Lackey Lane, and only 9 if you count the lots that measure approximately three quarters of an acre in depth and 100′ of frontage on the lake. There’s a beautiful Orren Pickell home on that lane that has been pending sale for several months to a client of mine. That property, listed in the mid $4s, will be marching off to closing soon. 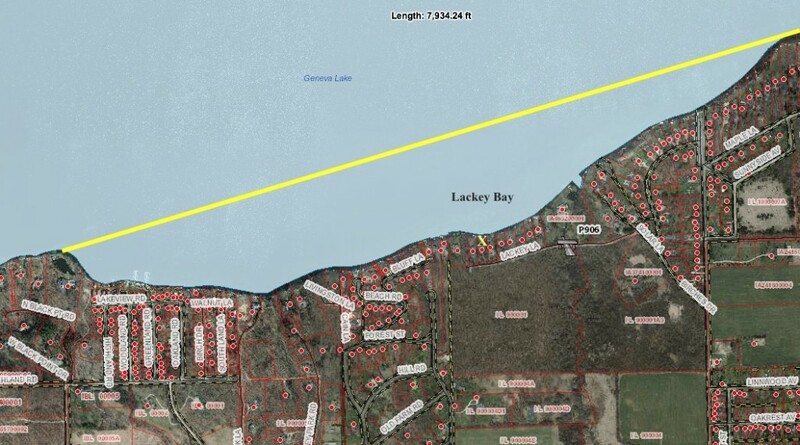 Two other properties on Lackey hit the market last fall, both modest homes, both on those easy lakefront lots. As of last weekend, I have a buyer in place on one of the listings. 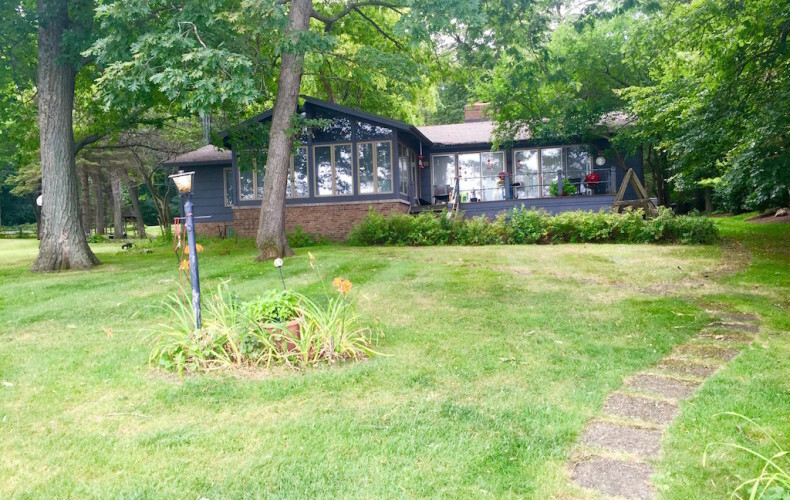 That’s a buyer who sees the value in Lackey, in the nuance that is a dead end, quiet lane combined with a slight bay on the lakeside, mixed with 100′ of level frontage. That home that’s under contract will be razed to make room for a new home, and in that the transformation of Lackey that began with the Pickell home will continue. Luckily for you, there is one home on Lackey left. I have that property co-listed, and it’s my goal now to find a buyer who appreciates the unique nature of Lackey Lane. 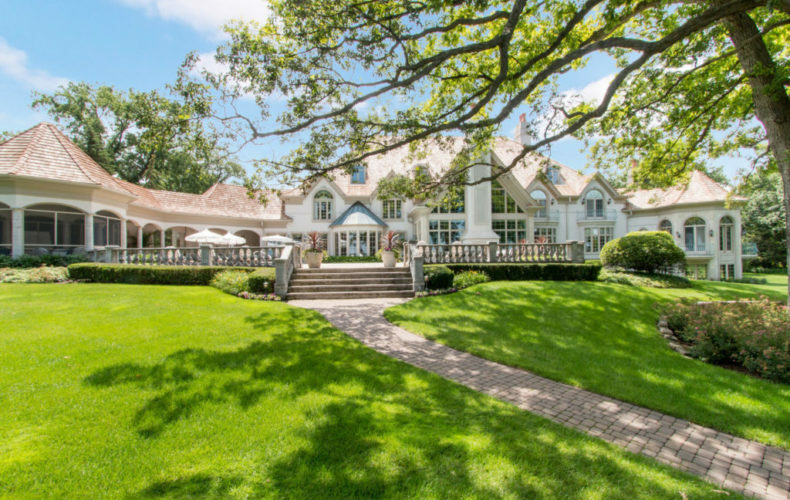 Listed at $2.15MM, it might be one of the best values on the lake right now. The home is dated and a bit rough, but it could easily be renovated and turned into something special. Think about what our local spec home remodeler did to the boring ranch at the end of Geneva Bay Drive, and then apply that sort of polish to this home on Lackey. Or, tear it down and be all-in around $4MM on a street that has proven the ability to support that built value. Either way, Lackey Lane is calling, and if you’re listening, we should be meeting there this weekend. By now, everyone knows Basswood. It’s a street on the lake, or it’s the street on the lake, either position is acceptable though the latter is preferred. On a lake where there’s little uniformity of parcels, it’s obvious that there would be little uniformity of value. A large home here, a small home there. Some giant estate here, a small house next to it, on top of it. There’s not much by way of consistency here, and in that lack of consistency there is character. Like finding anonymity in a crowd, Geneva is a group of different things that all make up a rather magical whole. But Basswood is one of the last few enclaves of near perfection in design, perfection in purpose, and perfection in execution. The large lots have, for the most part, been spared the subdivider’s stakes. Subdivisions like Oak Shores never broke up the expanse. It’s just a street with large lots, most in the 150-200′ range, and impressive homes. It’s also the street that’s anchored on its Eastern edge by Woodhill. You likely don’t know this estate. It isn’t in the guide book and the captain of a slowly chugging tour boat won’t point it out. The family that owns Woodhill isn’t named Wrigley or Schwinn or Maytag. They’re just a family that decided many decades ago that this 4 acre wooded parcel on Basswood was a great place to call home. And so it went, a generation raised summering on this shore, on that Basswood shore. A generation spent playing in the woods, slopping through the stream, catching frogs and fireflies and diving from the long, white pier. Life was good at Woodhill for all who had the privilege of calling it home. In the early 1980s it was decided that the old cottage that had played host to so many family weekends for so many years would need to be replaced with something bigger. Something modern. Something better, perhaps, but mostly just something, more. The new house was designed by the owner and his architect, an owner it should be mentioned, who was a contractor and real estate investor who knew his way around a set of plans and a job site. In 1984 the new Woodhill was born of brick and concrete and that cedar shake roof. 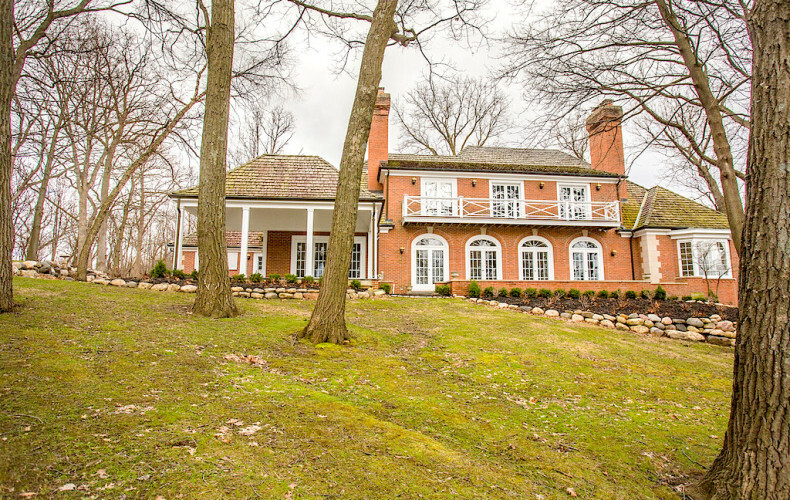 The four wooded acres and 205′ of lake frontage now played host to a brand new family home. The new home was ample, with more than 6000 square feet of living space spread out over three finished floors. There were five bedrooms, five fireplaces (all masonry, all woodburning, of course), and an expansive lakeside patio made of the finest bluestone the owner could find. The house was built to last of flexicore and brick, with two kitchens and two wet bars, and a cherry wood library. Today, the Walnut and Oak floors glisten as new. Over the years, another savvy purchase. 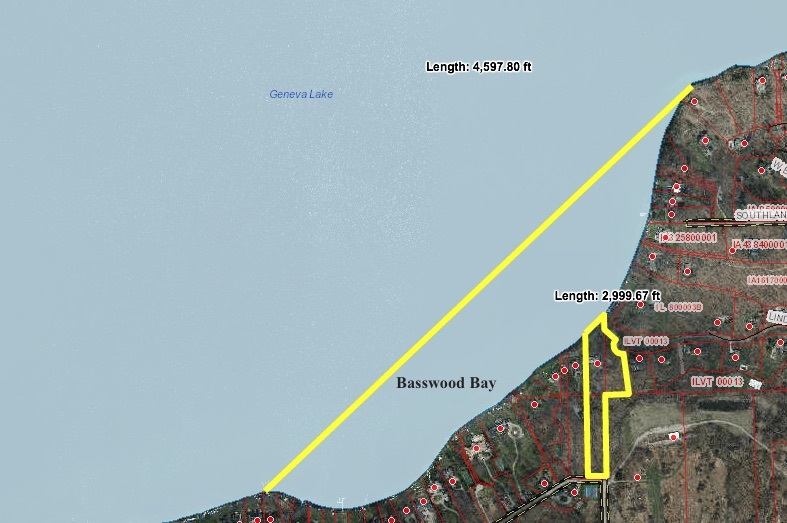 Lot 12 in the Lindens was available, and adjacent, and 1.5 wooded acres with a transferable boat slip. 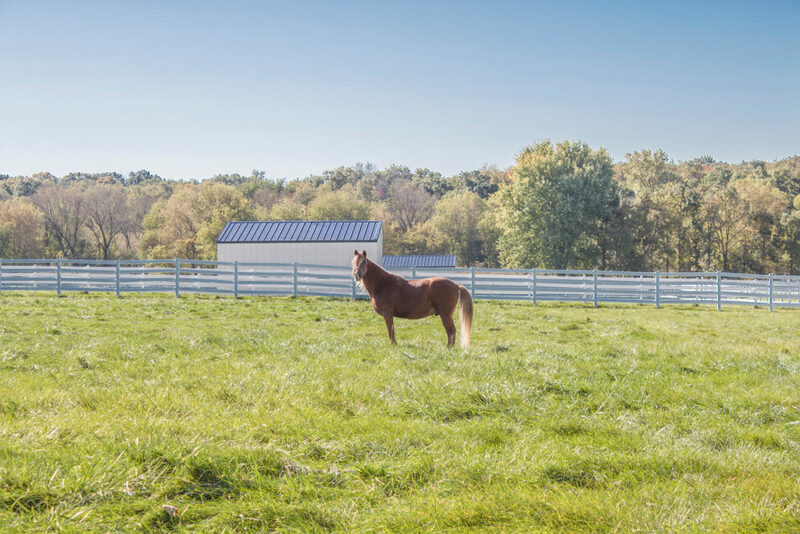 The lot was purchased to maintain privacy and future opportunities for Woodhill, and today, it might be the only lot of its kind that exists in the Lake Geneva market. Off water vacant lots exist, but this lot is barely off water, with lake views and that slip and a most exclusive Lindens membership. Today, it has been decided that Woodhill will be sold. The decision has not come easily, nor has it come joyfully, but it has come. Today, you can be the next steward of Woodhill, a sale that now includes the two tax keys of W4350 Basswood (1.93 and 2.22 acres, respectively), and the 1.49 acre Lindens lot. With 205′ of frontage, 5.65 total acres, and the ability to build another home (possibly two), this is the most compound-ready property to hit the market in years. $6,950,000 is our ask, and for that sum, your family can be the next to own Woodhill. If your ownership turns out to be even half as memorable as the current owners’, your future generations will thank you. I’m really bad at selling homes I don’t like. I show homes I don’t like, and then I think, I don’t like this house. I have to play along as though I think it’s fine, but generally I don’t play along all that well and my personal opinion is obvious. This is also the reason I’m not that good at advertising. I can’t speak to the lowest common denominator by utilizing font sizes and words that are statistically proven to motivate buyers. Words like DATA. A few weeks ago, I read a real estate description that said something about “this breathtaking house will take your breath away”. It’s uncertain if the house takes your breath, then gives it back before taking it again, but the consuming masses might like that sort of thing. Then last week I read a description that promised the most dazzling house you, or I, have ever seen. In fact, we wouldn’t believe this house if we did see it. The house that generated this superlative narrative? A super crappy farm house on a highway. My write up would have been, “That highway isn’t really a big deal. It’s not. In fact, I stood out there once and barely a dozen semis drove past, and most were coasting and all were recently washed.” I just can’t fake my way through this real estate game very well, which is a serious flaw in any Realtor’s character and will, ultimately, lead to a complete absence of business and a starting position at the Lake Geneva Starbucks, assuming I can work my way up from coffee bean bag stacker guy. 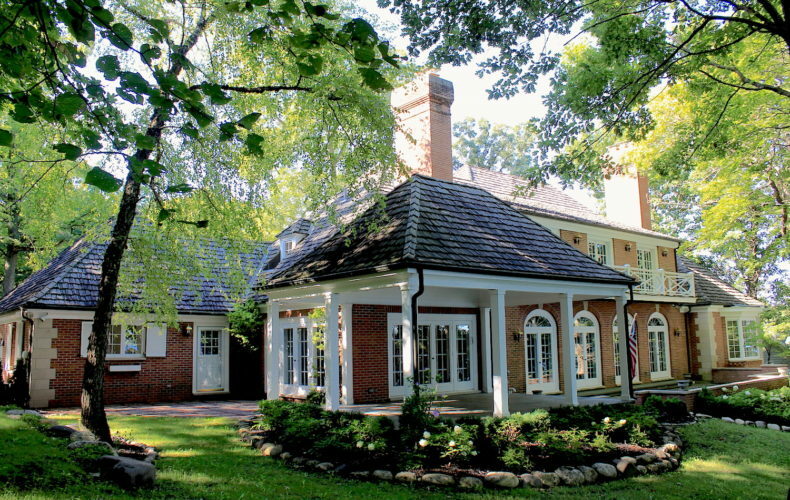 Last week, another lakefront sale on Geneva. That makes eight lakefronts closed since September 1st, which is rather astounding. That means the summer activity was strong, which we already knew. This sale was on Basswood, that of the large ranchy home with 201′ of frontage. That home originally hit the market at $5.875MM in the summer of 2014, and just sold for $4.835MM. That sale is a nice sale for the market, and it’s a nice sale for the agent who handled both sides of the successful closing (it wasn’t me). It wasn’t me because that seller wasn’t my client, which is good, because my write up would have struggled to avoid the mention of drywalled arches and so much carpet. The home that sold was on nice dirt. Absolutely nice dirt. 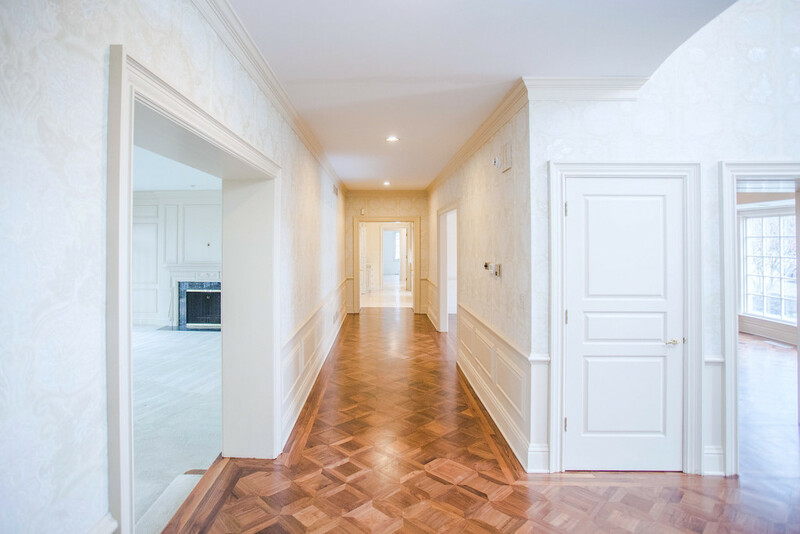 But the house was a Baywood Heights ranch on steroids, and so it either found the right buyer who loves the aforementioned features, or it found the right buyer who loves the dirt and figured they could make the drywalled arches go away through some creative trim work. Two other lakefront sales that I hadn’t previously mentioned include one on Harvard in Glenwood Springs. It’s an old house up on the hill without private frontage, but at a $1.72MM closing price it’s a fine property. The other was an odd home in Geneva Manor that lacked a garage, a yard, and any outward facing style, but it sold because it had ample space and a young family wished to be in that association. That home, as an aside, was one that I had a shot at listing but I blew it because I didn’t love the house enough. 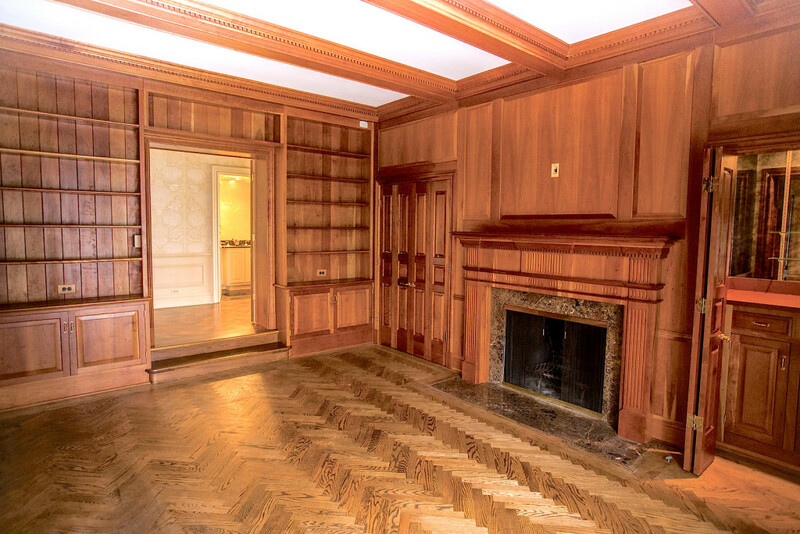 I should have gone on and on about all the Oak, and I should have feigned knee weakness at each baluster and stair tread, but I didn’t, and I said it was nice and fine but that it was worth around $1.6MM. The house was listed at $1.75MM by a more Oak-Enthusiastic Realtor, and then it sold for $1.65MM. My take aways from these sales have little to do with the market. They have to do with me, and how I’m pretty sure now that if I’m going to continue to be successful, I’m going to have to get better at faking it.